Southwestern College will apply up to 64 credits from prior education toward your degree. We have developed specific agreements with a variety of colleges, vocational schools and non-traditional training organizations to make completing your bachelor’s degree a seamless transition. Southwestern College Professional Studies has an articulation agreement with Allen Community College, which means that we will accept up to 64 credits from Allen Community College into any of our bachelor’s degree programs. Southwestern College Professional Studies has an articulation agreement with American Business and Technology University, which means that we will accept up to 64 credits from American Business and Technology University (all campuses) into any of our bachelor’s degree programs. Southwestern College Professional Studies is part of the transfer pathway, allowing Ashworth College students to transfer credits from Ashworth toward a bachelor’s degree program. Southwestern College Professional Studies has an articulation agreement with Barton Community College, which means that we will accept up to 64 credits from Barton Community College into any of our bachelor’s degree programs. Southwestern College Professional Studies has an articulation agreement with Butler Community College, which means that we will accept up to 64 credits from Butler Community College into any of our bachelor’s degree programs. A tuition discount is also available for eligible Butler graduates; please contact us at enrollment@sckans.edu for details. Southwestern College Professional Studies has an articulation agreement with Central Texas College, which means that we will accept up to 64 credits from Central Texas College into any of our bachelor’s degree programs. Southwestern College Professional Studies has an articulation agreement with Cloud County Community College, which means that we will accept up to 64 credits from Cloud County Community College into any of our bachelor’s degree programs. Southwestern College Professional Studies has an articulation agreement with Coffeyville Community College, which means that we will accept up to 64 credits from Coffeyville Community College into any of our bachelor’s degree programs. Southwestern College Professional Studies has an articulation agreement with Colby Community College, which means that we will accept up to 64 credits from Colby Community College into any of our bachelor’s degree programs. Southwestern College Professional Studies has an articulation agreement with Cowley College, which means that we will accept up to 64 credits from Cowley College into any of our bachelor’s degree programs. Southwestern College Professional Studies has an articulation agreement with Dodge City Community College & Area Technical Center, which means that we will accept up to 64 credits from Dodge City Community College & Area Technical Center into any of our bachelor’s degree programs. Southwestern College Professional Studies has an articulation agreement with Fort Scott Community College, which means that we will accept up to 64 credits from Fort Scott Community College into any of our bachelor’s degree programs. Southwestern College Professional Studies has an articulation agreement with Garden City Community College, which means that we will accept up to 64 credits from Garden City Community College into any of our bachelor’s degree programs. Southwestern College Professional Studies has an articulation agreement with Highland Community College, which means that we will accept up to 64 credits from Highland Community College into any of our bachelor’s degree programs. Southwestern College Professional Studies has an articulation agreement with Hutchinson Community College, which means that we will accept up to 64 credits from Hutchinson Community College into any of our bachelor’s degree programs. Southwestern College Professional Studies has an articulation agreement with Independence Community College, which means that we will accept up to 64 credits from Independence Community College into any of our bachelor’s degree programs. Southwestern College Professional Studies has an articulation agreement with Johnson County Community College, which means that we will accept up to 64 credits from Johnson County Community College into any of our bachelor’s degree programs. Southwestern College Professional Studies has an articulation agreement with Kansas City Kansas Community College, which means that we will accept up to 64 credits from Kansas City Kansas Community College into any of our bachelor’s degree programs. Southwestern College Professional Studies has an articulation agreement with Labette Community College, which means that we will accept up to 64 credits from Labette Community College into any of our bachelor’s degree programs. Southwestern College Professional Studies has an articulation agreement with Manhattan Area Technical College, which means that we will accept up to 64 credits from Manhattan Area Technical College into any of our bachelor’s degree programs. Southwestern College Professional Studies has an articulation agreement with Metropolitan Community Colleges of Kansas City, which means that we will accept up to 64 credits from Metropolitan Community Colleges of Kansas City into any of our bachelor’s degree programs. Southwestern College Professional Studies has an articulation agreement with Murray State College, which means that we will accept up to 64 credits from Murray State into any of our bachelor’s degree programs. Southwestern College Professional Studies has an articulation agreement with Neosho County Community College, which means that we will accept up to 64 credits from Neosho County Community College into any of our bachelor’s degree programs. Southwestern College Professional Studies has an articulation agreement with North Central Kansas Technical College, which means that we will accept up to 64 credits from North Central Kansas Technical College into any of our bachelor’s degree programs. Southwestern College Professional Studies has an articulation agreement with Oklahoma City Community College College, which means that we will accept up to 64 credits from Oklahoma City Community College into any of our bachelor’s degree programs. Southwestern College Professional Studies has a national articulation agreement with Pinnacle Career Institute, which means that we will accept up to 64 credits into any of our bachelor’s degree programs. Southwestern College Professional Studies has an articulation agreement with Pratt Community College, which means that we will accept up to 64 credits from Pratt Community College into any of our bachelor’s degree programs. Southwestern College Professional Studies has an articulation agreement with Rose State College, which means that we will accept up to 64 credits from Rose State College into any of our bachelor’s degree programs. Southwestern College Professional Studies has an articulation agreement with Salina Area Technical School, which means that we will accept up to 64 credits from Salina Area Technical College into any of our bachelor’s degree programs. Southwestern College Professional Studies has an articulation agreement with Seward County Community College, which means that we will accept up to 64 credits from Seward County Community College into any of our bachelor’s degree programs. Southwestern College Professional Studies has an articulation agreement with Tulsa Community College, which means that we will accept up to 64 credits from Tulsa Community College into any of our bachelor’s degree programs. Southwestern College Professional Studies has an articulation agreement with University Center at Ponca City, which means that we will accept up to 64 credits from University Center at Ponca City into any of our bachelor’s degree programs. Prior to Vatterott’s closing, Southwestern College Professional Studies had an articulation agreement with Vatterott College. We intend to continue to honor that agreement, accepting up to 64 credits from Vatterott College into any of our bachelor’s degree programs. Southwestern College Professional Studies has an articulation agreement with Wichita Area Technical College, which means that we will accept up to 64 credits from Wichita Area Technical College into any of our bachelor’s degree programs. Southwestern College Professional Studies has an articulation agreement with the Youth Ministry Institute. Students may earn up to 15 credits toward their master’s or bachelor’s degree in our ministry programs. A tuition discount is also available. Please contact us at enrollment@sckans.edu additional details. Southwestern College Professional Studies has made a commitment to Wesley Healthcare to provide its employees with a valuable head start on a rewarding future. Wesley Healthcare employees will receive 10% off the cost of tuition. Contact a program representative at 888.684.5335, e-mail us at enrollment@sckans.edu or complete an online request form. Southwestern College Professional Studies has made a commitment to William Newton Hospital to provide its employees with a valuable head start on a rewarding future. William Newton Hospital employees will receive 10% off the cost of tuition. Contact a program representative at 888.684.5335, e-mail us at enrollment@sckans.edu or complete an online request form. ChildSart, Inc. employees will receive 10% off the cost of tuition thanks to the Southwestern College Professional Studies – ChildStart, Inc. Business Alliance. Contact a program representative at 888.684.5335, e-mail us at enrollment@sckans.edu or complete an online request form. Heritage Senior Care Inc. (dba Home Instead Senior Care) employees will receive 10% off the cost of tuition thanks to the Southwestern College Professional Studies – Heritage Senior Care Inc. Business Alliance. Contact a program representative at 888-684-5335, e-mail us at enrollment@sckans.edu or complete an online request form. Kansas Medical Center employees will receive 10% off the cost of tuition thanks to the Southwestern College Professional Studies – Kansas Medical Center Business Alliance. Contact a program representative at 888.684.5335, e-mail us at enrollment@sckans.edu or complete an online request form. Newton Medical Center employees will receive 10% off the cost of tuition thanks to the Southwestern College Professional Studies – Newton Medical Center Business Alliance. Contact a program representative at 888.684.5335, e-mail us at enrollment@sckans.edu or complete an online request form. South Central Kansas Medical Center employees will receive 10% off the cost of tuition thanks to the Southwestern College Professional Studies – South Central Kansas Medical Center Business Alliance. Contact a program representative at 888.684.5335, e-mail us at enrollment@sckans.edu or complete an online request form. Spirit Aerosystems employees will receive 10% off the cost of tuition thanks to the Southwestern College Professional Studies – Spirit Aerosytems Business Alliance. Contact a program representative at 888.684.5335, e-mail us at enrollment@sckans.edu or complete an online request form. Textron employees will receive 10% off the cost of tuition thanks to the Southwestern College Professional Studies – Textron Business Alliance. Contact a program representative at 888.684.5335, e-mail us at enrollment@sckans.edu or complete an online request form. The Berry Companies (White Star Machinery, Berry Material Handling, Berry Tractor and Equipment, K.C. Bobcat, Bobcat of Houston, Bobcat of the Rockies, Bobcat of Dallas, and Superior Broom) employees will receive 10% off the cost of tuition thanks to the Southwestern College Professional Studies – Berry Companies Business Alliance. Contact a program representative at 888.684.5335, e-mail us at enrollment@sckans.edu or complete an online request form. Butler Community College employees will receive 10% off the cost of tuition thanks to the Southwestern College Professional Studies – Butler Community College Business Alliance. Contact a program representative at 888.684.5335, e-mail us at enrollment@sckans.edu or complete an online request form. Cowley Community College employees will receive 25% off the cost of tuition for the Master’s in Education Curriculum and Instruction program and Master’s in Leadership program thanks to the Southwestern College Professional Studies – Cowley Community College Business Alliance. Contact a program representative at 888.684.5335, e-mail us at enrollment@sckans.edu or complete an online request form. Excel Industries employees will receive 10% off the cost of tuition thanks to the Southwestern College Professional Studies – Excel Industries Business Alliance. Contact a program representative at 888.684.5335, e-mail us at enrollment@sckans.edu or complete an online request form. Freddy’s Frozen Custard employees will receive 10% off the cost of tuition thanks to the Southwestern College Professional Studies – Freddy’s Frozen Custard Business Alliance. Contact a program representative at 888.684.5335, e-mail us at enrollment@sckans.edu or complete an online request form. Galaxy Technologies employees will receive 10% off the cost of tuition thanks to the Southwestern College Professional Studies – Galaxy Technologies Business Alliance. Contact a program representative at 888.684.5335, e-mail us at enrollment@sckans.edu or complete an online request form. GE Aviation employees will receive 10% off the cost of tuition thanks to the Southwestern College Professional Studies – GE Aviation Business Alliance. Contact a program representative at 888.684.5335, e-mail us at enrollment@sckans.edu or complete an online request form. Martens Companies employees will receive 10% off the cost of tuition thanks to the Southwestern College Professional Studies – Martens Companies Business Alliance. Contact a program representative at 888.684.5335, e-mail us at enrollment@sckans.edu or complete an online request form. USD 259 Wichita employees will receive 25% off the cost of tuition for the Master’s in Education in Curriculum and Instruction program and 15% off the cost of tuition for the Master’s in Special Education Low Incidence program thanks to the Southwestern College Professional Studies – USD 259 Business Alliance. Contact a program representative at 888.684.5335, e-mail us at enrollment@sckans.edu or complete an online request form. USD 465 Winfield employees will receive 25% off the cost of tuition for the Master’s in Education in Curriculum and Instruction program thanks to the Southwestern College Professional Studies – USD 465 Business Alliance. Contact a program representative at 888.684.5335, e-mail us at enrollment@sckans.edu or complete an online request form. USD 470 Arkansas City employees will receive 25% off the cost of tuition for the Master’s in Education in Curriculum and Instruction program thanks to the Southwestern College Professional Studies – USD 470 Business Alliance. Contact a program representative at 888.684.5335, e-mail us at enrollment@sckans.edu or complete an online request form. USD 353 Wellington employees will receive 25% off the cost of tuition for the Master’s in Education in Curriculum and Instruction program thanks to the Southwestern College Professional Studies – USD 353 Business Alliance. Contact a program representative at 888.684.5335, e-mail us at enrollment@sckans.edu or complete an online request form. USD 480 Liberal employees will receive 25% off the cost of tuition for the Master’s in Education in Curriculum and Instruction program thanks to the Southwestern College Professional Studies – USD 480 Business Alliance. Contact a program representative at 888.684.5335, e-mail us at enrollment@sckans.edu or complete an online request form. USD 443 Dodge City employees will receive 25% off the cost of tuition for the Master’s in Education in Curriculum and Instruction thanks to the Southwestern College Professional Studies – USD 443 Business Alliance. Contact a program representative at 888.684.5335, e-mail us at enrollment@sckans.edu or complete an online request form. USD 457 Garden City employees will receive 25% off the cost of tuition for the Master’s in Education in Curriculum and Instruction program thanks to the Southwestern College Professional Studies – USD 457 Business Alliance. Contact a program representative at 888.684.5335, e-mail us at enrollment@sckans.edu or complete an online request form. USD 373 Newton employees will receive 25% off the cost of tuition for the Master’s in Education in Curriculum and Instruction program thanks to the Southwestern College Professional Studies – USD 373 Business Alliance. Contact a program representative at 888.684.5335, e-mail us at enrollment@sckans.edu or complete an online request form. USD 428 Great Bend employees will receive 25% off the cost of tuition for the Master’s in Education in Curriculum and Instruction program thanks to the Southwestern College Professional Studies – USD 428 Business Alliance. Contact a program representative at 888.684.5335, e-mail us at enrollment@sckans.edu or complete an online request form. USD 418 McPherson employees will receive 25% off the cost of tuition for the Master’s in Education in Curriculum and Instruction program thanks to the Southwestern College Professional Studies – USD 418 Business Alliance. Contact a program representative at 888.684.5335, e-mail us at enrollment@sckans.edu or complete an online request form. 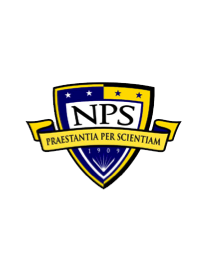 Southwestern College became the first four-year Kansas educational institution to offer degrees integrating the Naval Postgraduate School in 2014. The partnership is part of the Naval Postgraduate School (NPS) Center for Home University & Agency Partnership Initiative (UAPI), which brings together institutions dedicated to advancing homeland security education. The initiative’s objectives are to strengthen the nation’s security, prevent redundant curriculum development and associated costs, facilitate nationwide collaboration among educational institutions as they develop or expand their homeland security programs and create synergy to address critical national security and defense research issues. Southwestern College Professional Studies currently offers two degrees with the curriculum: B.S. in Security Management and M.S. in Security Administration.